Hope you like your drinks stout. 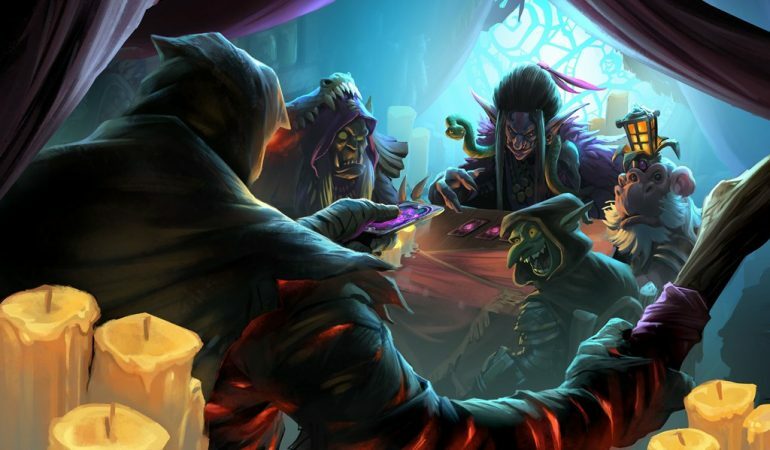 If you thought the Rise of Shadows card reveals would cease because we are less than a week away from the expansions release you are sorely mistaken. Blizzard surprised us today with the reveal of Barista Lynchen. This new Legendary is a five-cost, four-attack, and four-health minion with a powerful Battlecry. When Barista Lynchen enters the field, you get to add a copy of each of your other Battlecry minions to your hand. 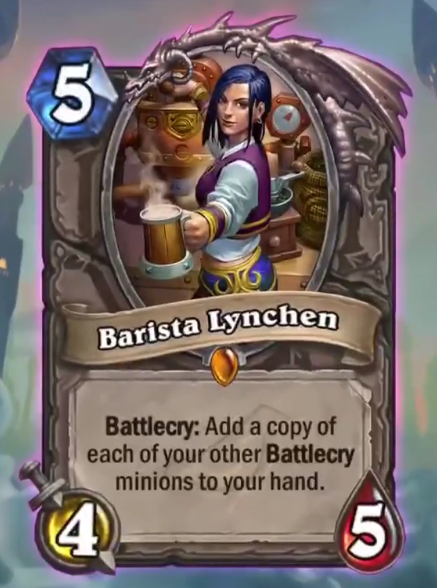 As far as the community knows, this means Barista will give you copies of your Battlecry minions that are on the field, not every Battlecry minion in your deck. This is definitely one of the more interesting Legendary minions we’ve seen revealed for Rise of Shadows and it could open the door for a number of new Battlecry-heavy archetypes. Battlecry is arguably one of the strongest keywords in Hearthstone because it provides a spell-like mechanic while attached to a minion. This means cards with Battlecry have the potential to generate insane value. If used correctly, Barista Lynchen could kick the amount of value generated by your Battlecry minions into over drive. Check out Barista Lynchen and all the new cards when Rise of Shadow’s releases on April 9.